Have you ever felt like you are being scammed? If you do, than you probably are being scammed by an agent. One thing that I have learned in life is that if you feel somewhat at unease then something is not right at all. With agents, people or work, trust how you feel and think about what made you feel that way. There are two different categories of basketball agents in my opinion with my own lingo. Michael is looking for team to play for next year but cannot seem to do it himself. So he searches the internet for agent to hire. Michael finds it difficult for top agents to take him or his game seriously, but he can easily find agents that ask for a payment first. So Michael gets tired of asking top agents and SETTLES for the “paid agent”. He pays the agent and waits eagerly for his first team. The agent makes promises and says he will find a team but never does. The agent never even started making calls for him. The player wasted a whole year and the player has nothing. Michael spent around $250 for an agent to do nothing. This is why I wouldn’t recommend a “paid agent” for any young player. Even though you are anxiously waiting to play basketball overseas. Patience is a virtue and you must have it in order to succeed in life and basketball. Now with the real agents and what I call “percentage agents”. Percentage agents are the women or men that have confidence in a player and their game. They take a risk that they will find a team and are willing to do the work upfront. The agents pay for all (things) and normally waits during the first several months of a player signing a team contract to receive payment from the team. The team is contracted to pay the player and their agent. Therefore in most cases you can count that you get paid. There are more positives in my opinion if you sign with what I call a “percentage agent”. There are a few negatives as well but I would take this over a “paid agent” any day of the year. So if you ever feel unease about the work the agent is putting into finding you a team, then you should probably seek service some place else. Part II – next week! 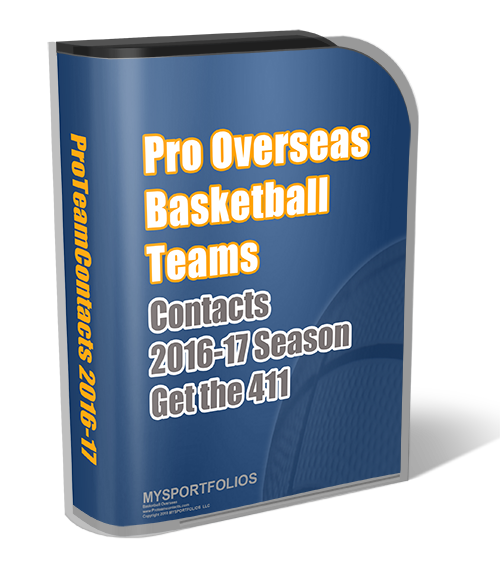 Pro Basketball Overseas – The only person that will find to work the hardest for you..is YOURSELF! Ein wirklich sehr Interessante Seite mit guten Informationen.